Benguerra Lodge is one of the top Mozambique travel destinations. Located on Benguerra Island in the Bazaruto Archipelago, off the southern coast, this splendid holiday accommodation has plenty of thrilling opportunities for all sorts of holidays. A stay at this resort combines its spectacular setting along a pristine beach and excellent facilities to provide an unsurpassed island retreat. 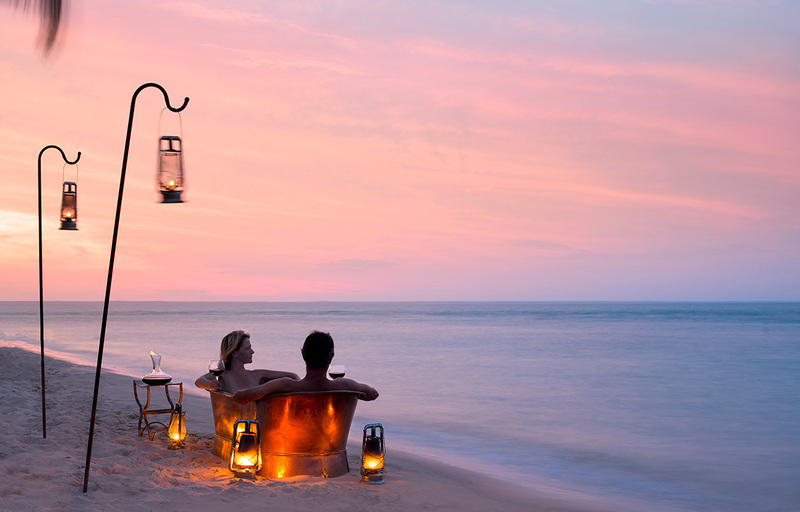 Its 13 sumptuous villas, all superbly appointed, offer the utmost in privacy, making it ideal for those in search of an idyllic romantic escape. Families are well catered at this stunning resort that embraces children of all ages. Some of the villas are specially designed for families, with the Casa de Familia boasting 3 en-suite inter-leading bedrooms. There are 10 slightly stilted bungalows, set back from the beach where older children are accommodated. These unpretentious rooms are modestly furnished with comfortable beds that are swathed in mosquito nets. Each has a shower and bamboo blinds, which allow fresh sea breezes in. Benguerra Lodge offers guests tranquillity, far from crowds and an off the beaten track experience, earning its place among the top Mozambique travel destinations. The island on which it stands forms part of the Bazaruto National Park, a protected area that has pristine coral reefs and an abundance of marine species. Diving and snorkelling this aquatic wonderland is sensational! Guests can feast their eyes on threatened species such as the Dugong and the Whale Sharks, not to mention the colourful, tropical coral fishes that teem these waters. There are loads of fun-filled activities available at the lodge, both on land and on the water. Deep sea fishing is a must at this lodge. There’s plenty of big game fish to hook, with chances of catching the marlin very favourable. Book your island holiday from the experts and get the best rates on accommodation. Get in touch now!